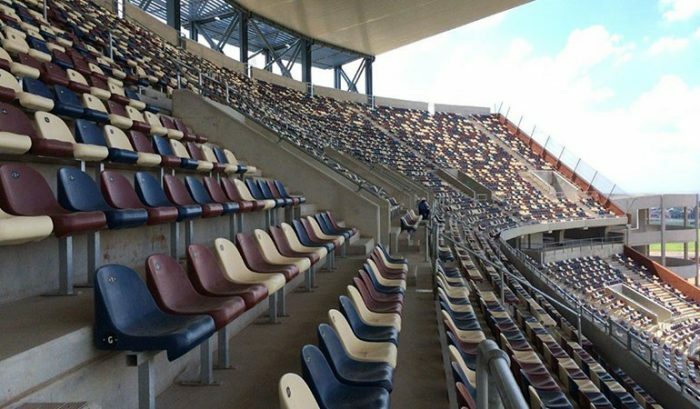 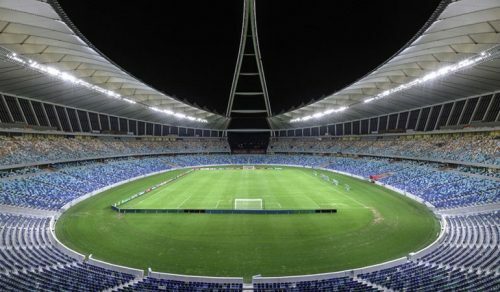 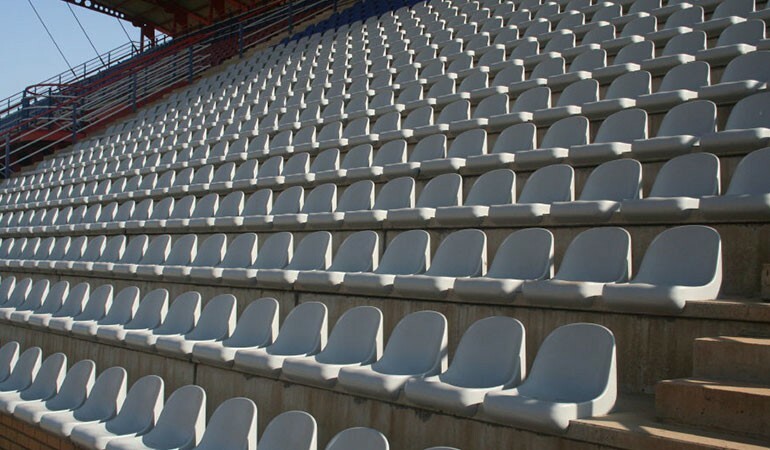 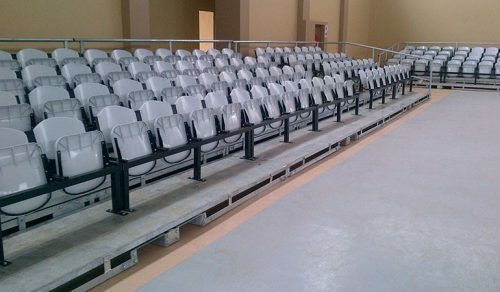 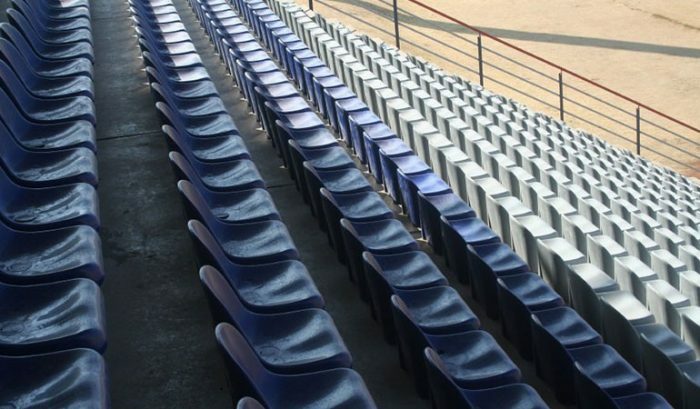 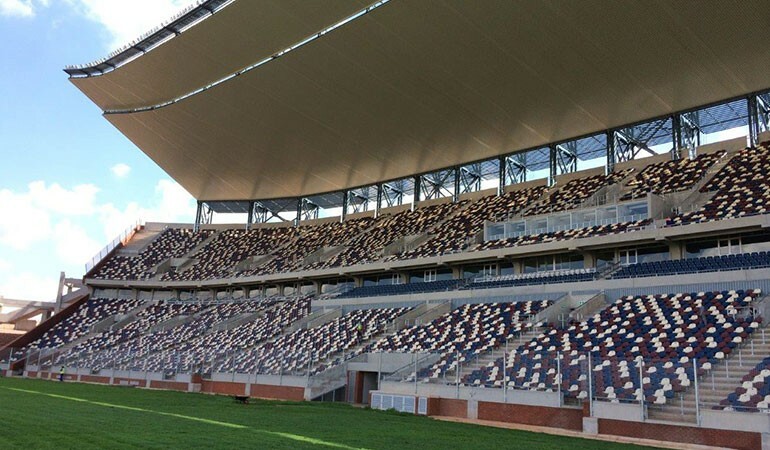 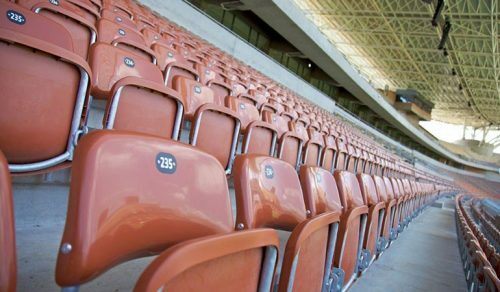 Stadium and Arena polypropylene injection moulded seats, with UV and flame-retardant properties. 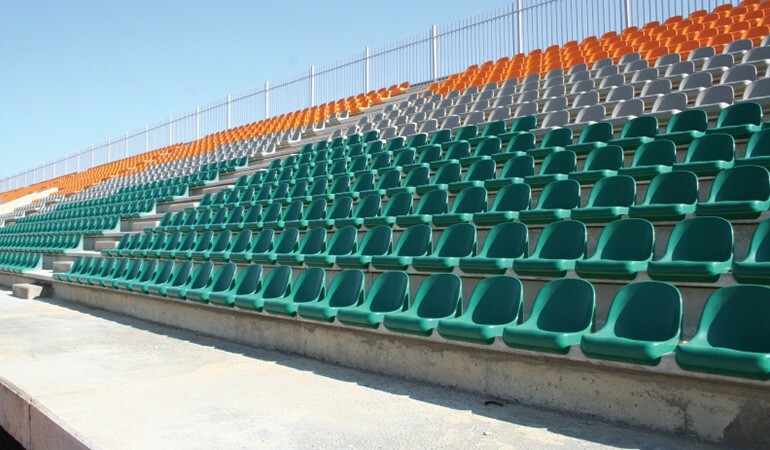 Available in any specified colour. 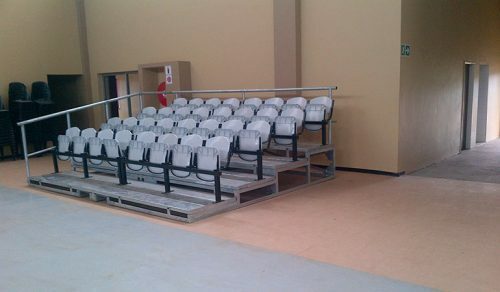 Installed on galvanised beams or fixed directly to the concrete step.